Former Chelsea striker Didier Drogba has confirmed he has signed for Chinese' Shanghai Shenhua for £25M on a two and half year deal and believes he has made the 'right move'. Drogba decided to leave Chelsea at the end of last season after scoring the winning penalty in the UEFA Champions League final against Bayern Munich. 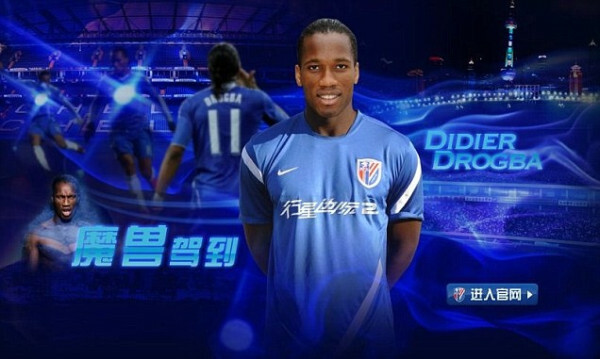 "I have considered all the offers I have received in the past few weeks, but feel that Shanghai Shenhua FC is the right move for me at this time," said Drogba. "I am looking forward to a new challenge, to experiencing a new culture, and excited about the new developments in the Chinese Super League". Good move DD..You have accomplished fame and now its to make more money..Happy for you! Nice move Mr Drog! Wishin u oll the best man! U re a true blue legend anywhere u go!! !